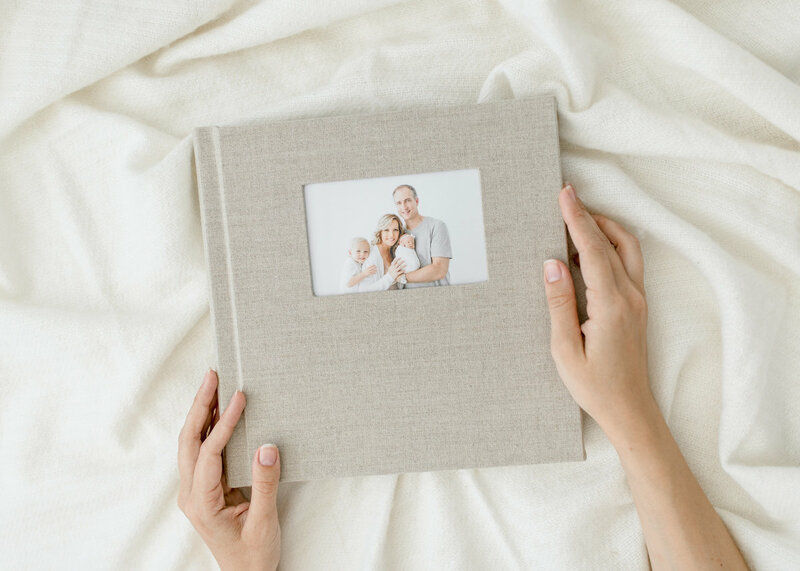 We believe memories deserve to be printed, hung on walls to tell the story of your family. 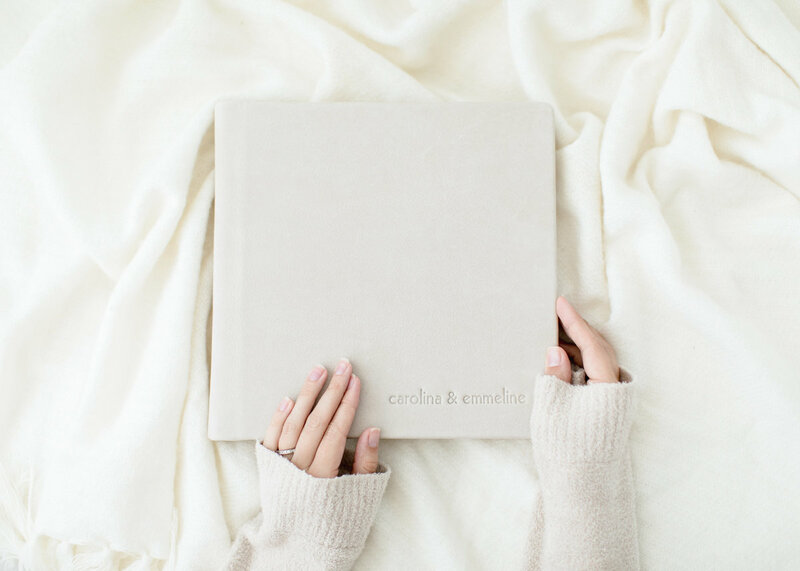 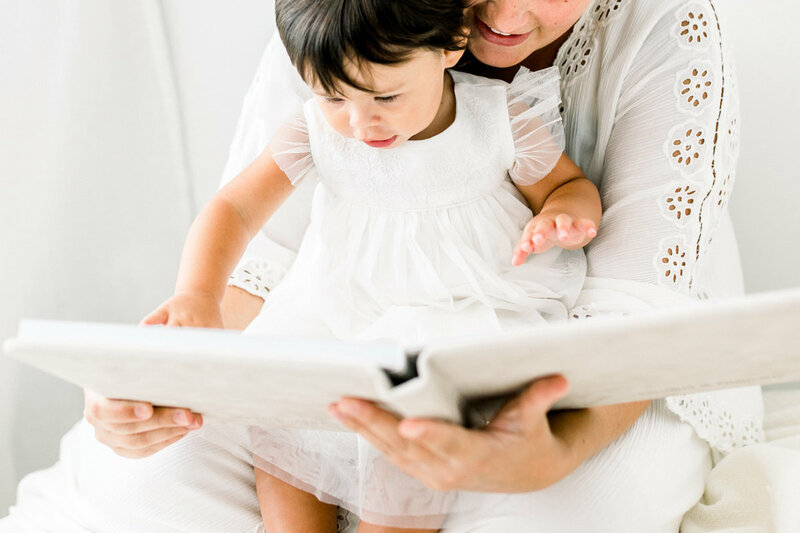 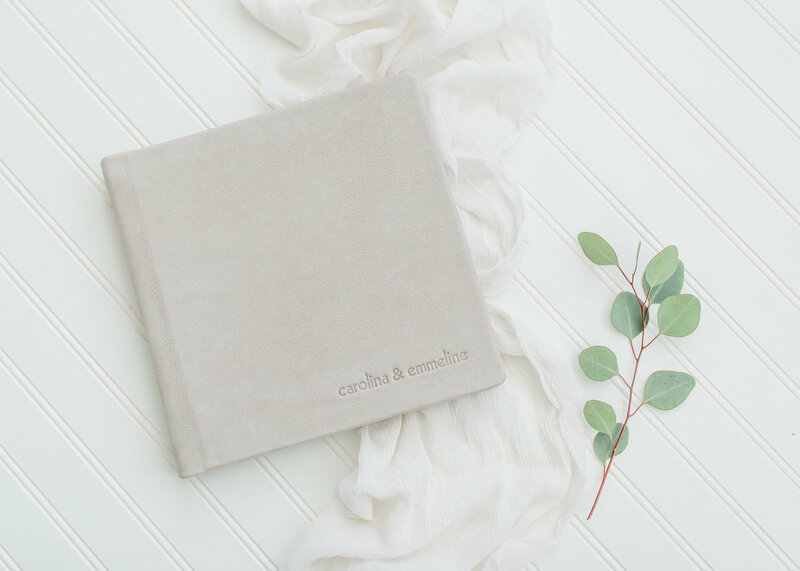 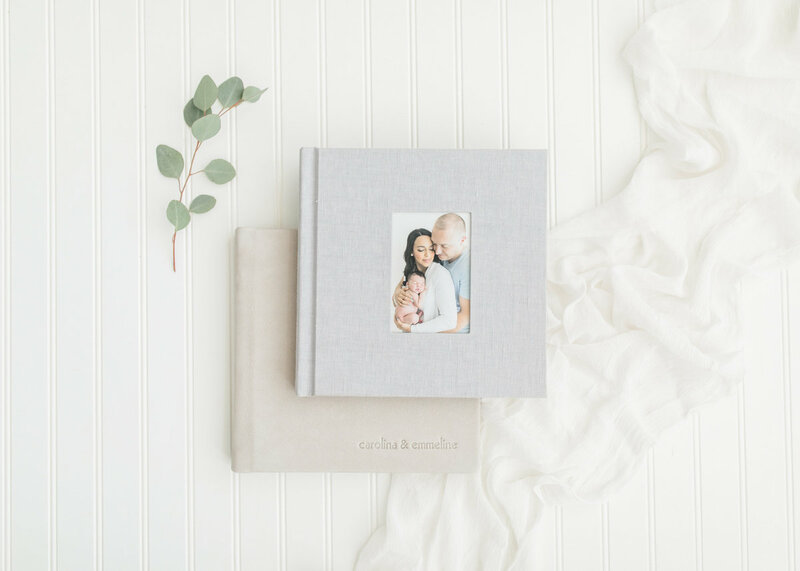 We believe that even the small moments deserve to be savored and poured over by little hands turning the pages of albums. 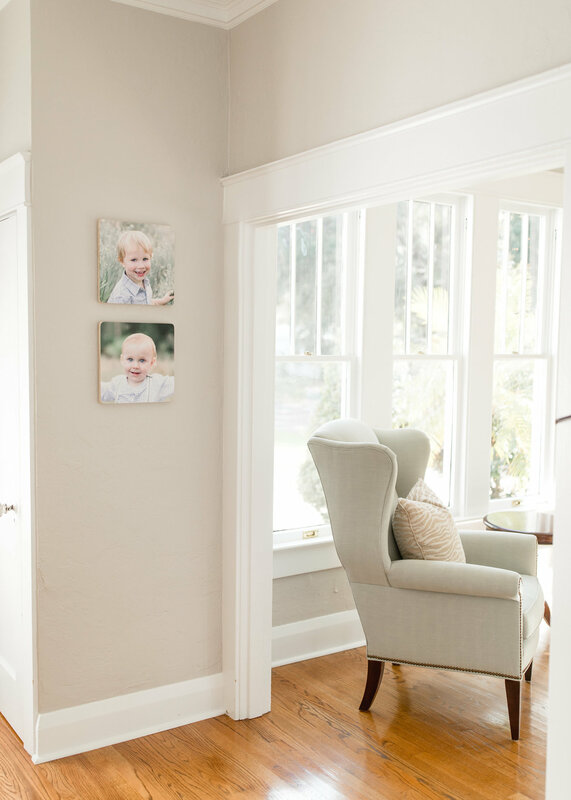 Our job is not complete till your frames have been hung and your album is displayed on your coffee table. 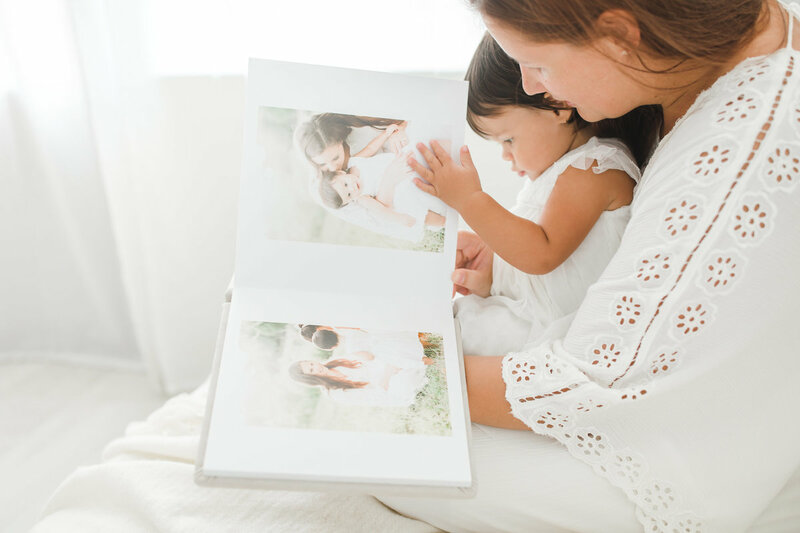 We promise an extraordinary experience from start to finish - a portrait experience unlike any other. 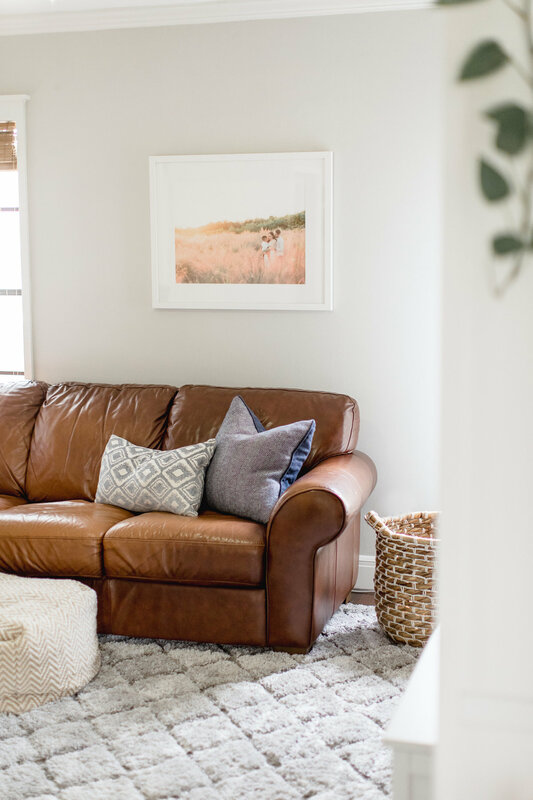 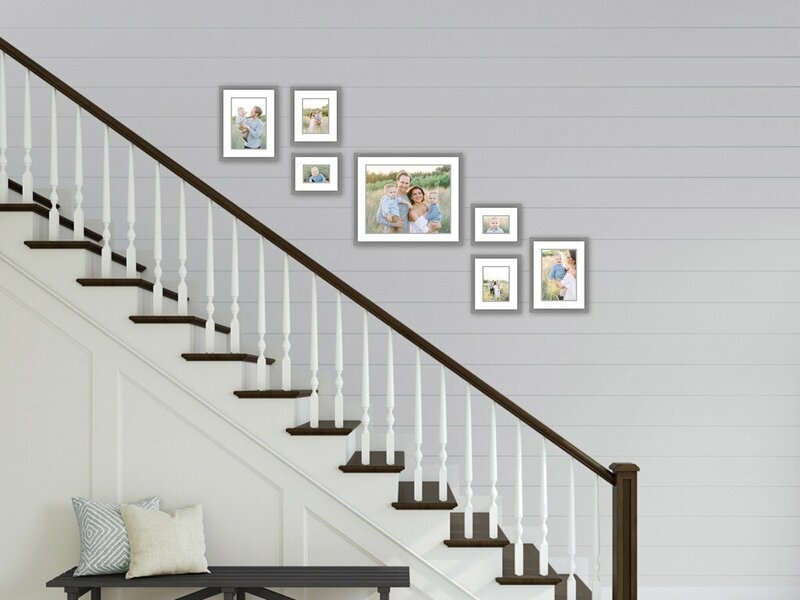 The possibilities are endless, but designing a gallery wall to grow with your family, can be a daunting task. 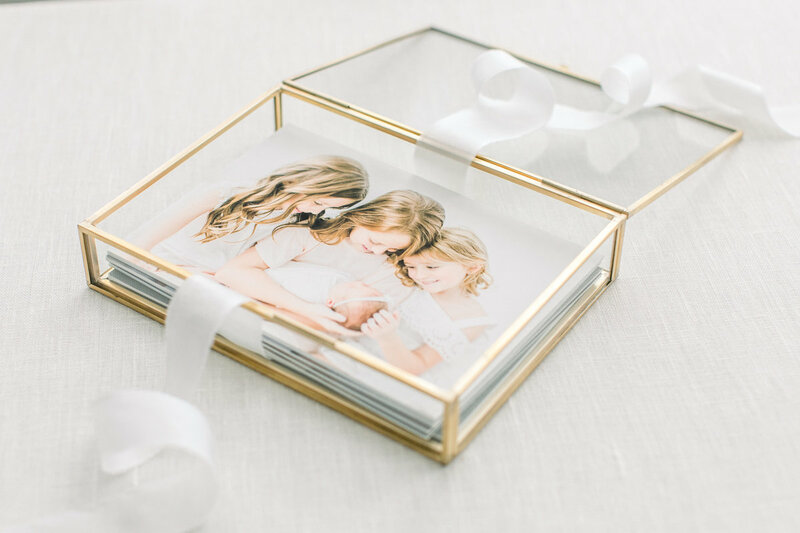 We are here to turn your most treasured memories into beautiful art pieces. 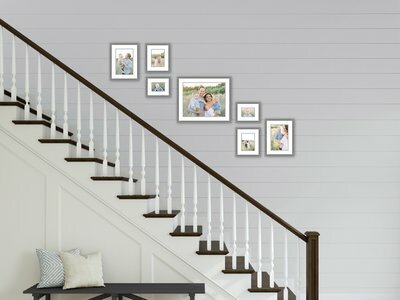 A simply entry wall grouping or a complex stairway design we will help with every step of the process, including installation. Every image deserve to be printed even if its not hung on a wall. 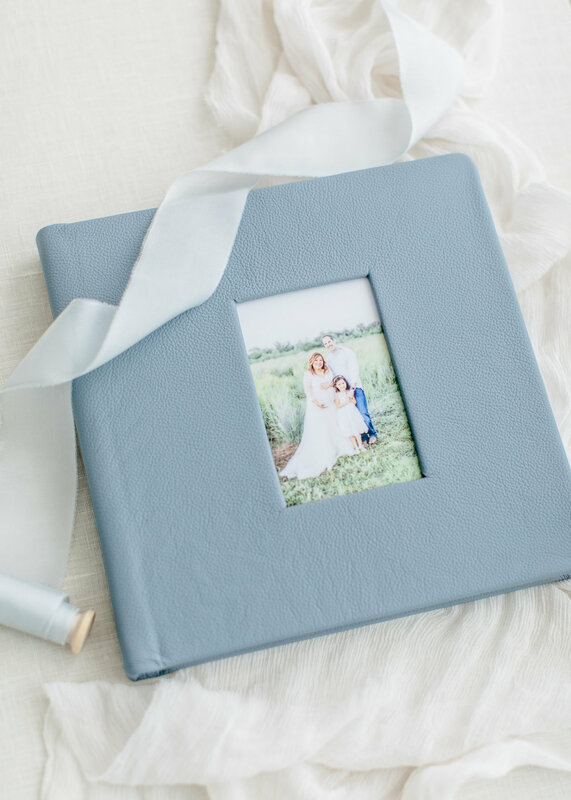 Albums are a special place for sweet moments to be kept, bound together and to be passed down for generations. 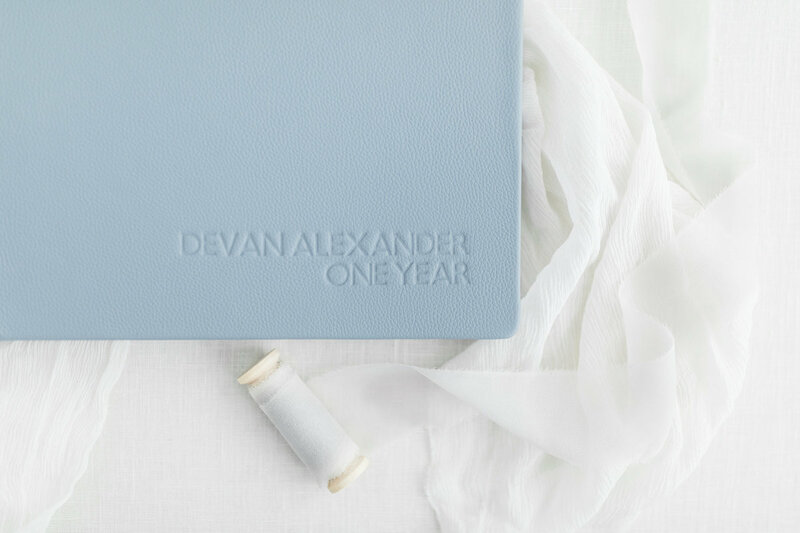 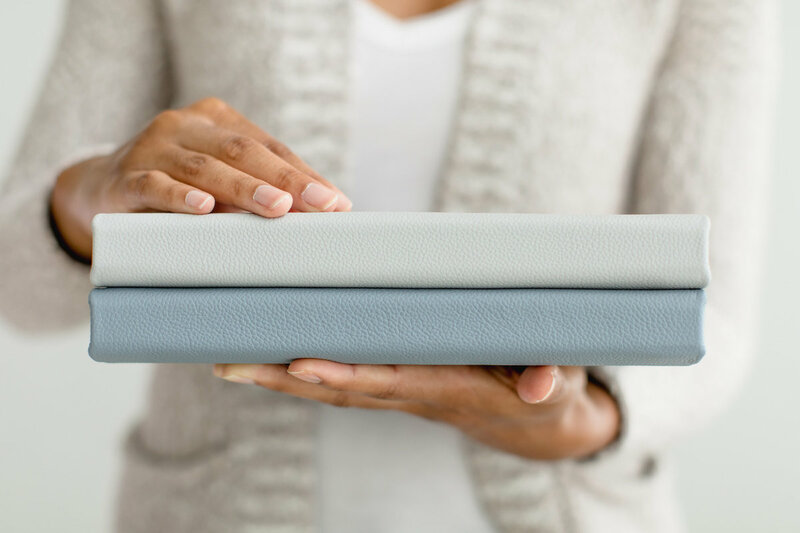 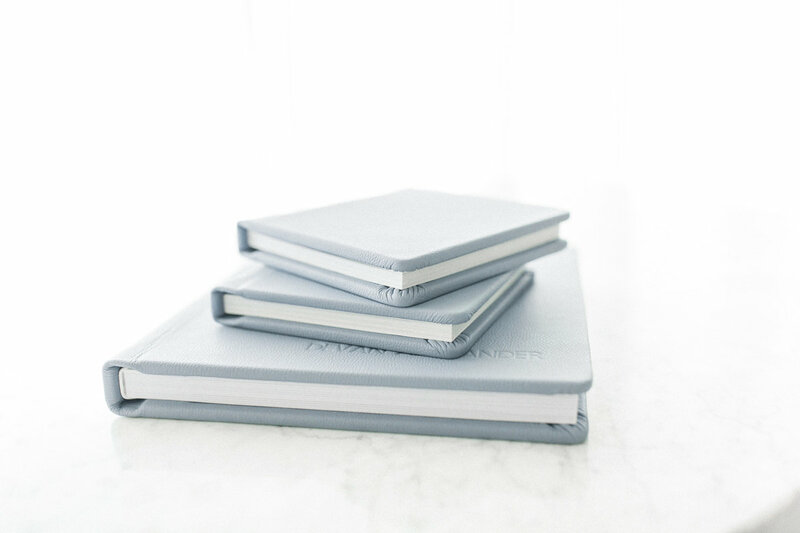 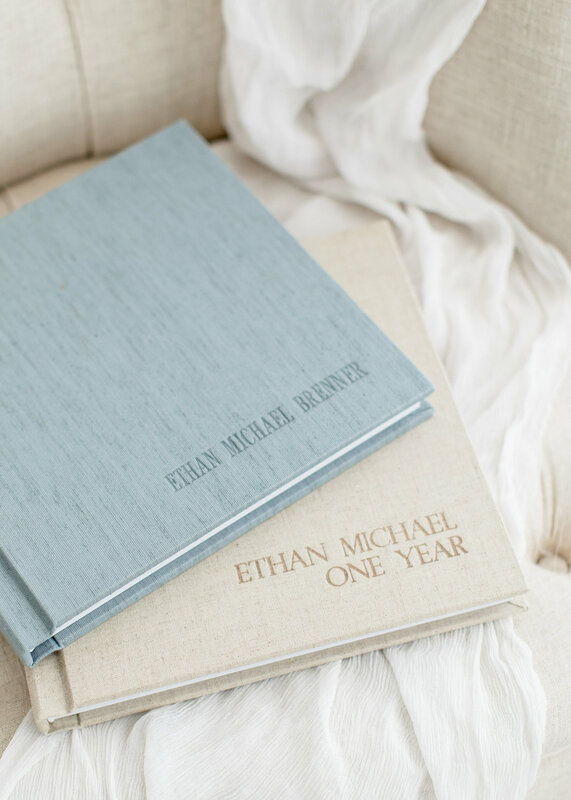 Handmade with finest leathers and linens, durable, bend-proof pages and wooden protective box custom designed for each album. 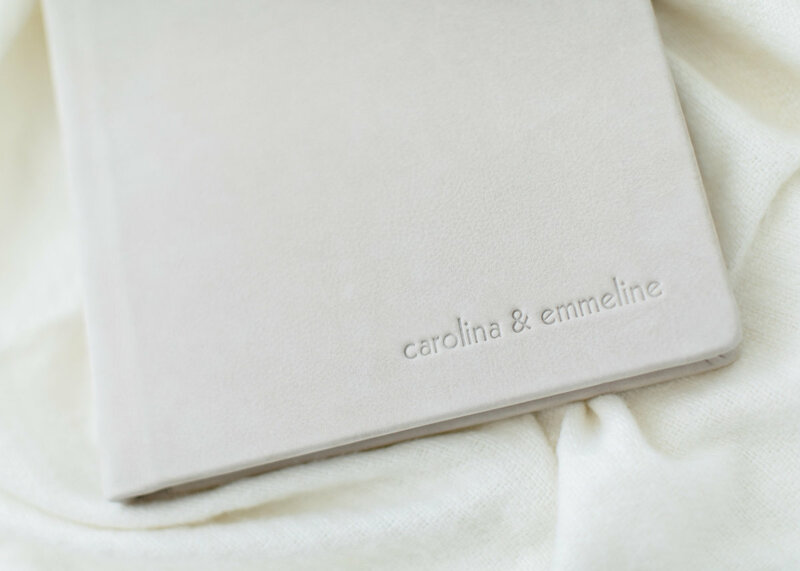 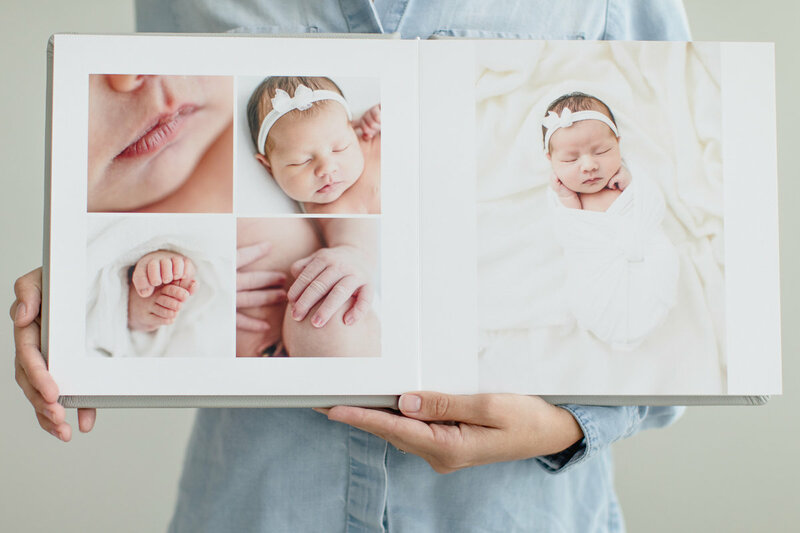 Begin with a maternity or newborn album and grow your collection into a volume set for each stage of your family’s life. 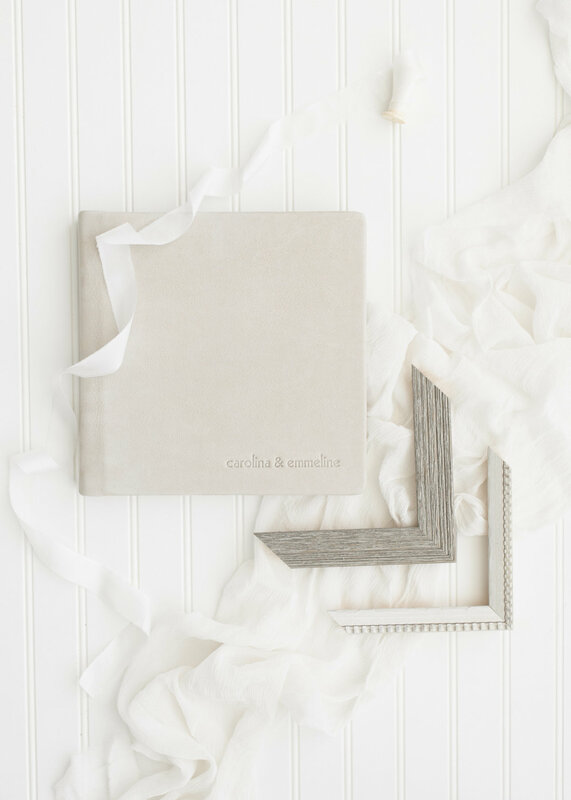 Some of our life biggest moments need a large piece all on its own displayed prominently in your home. 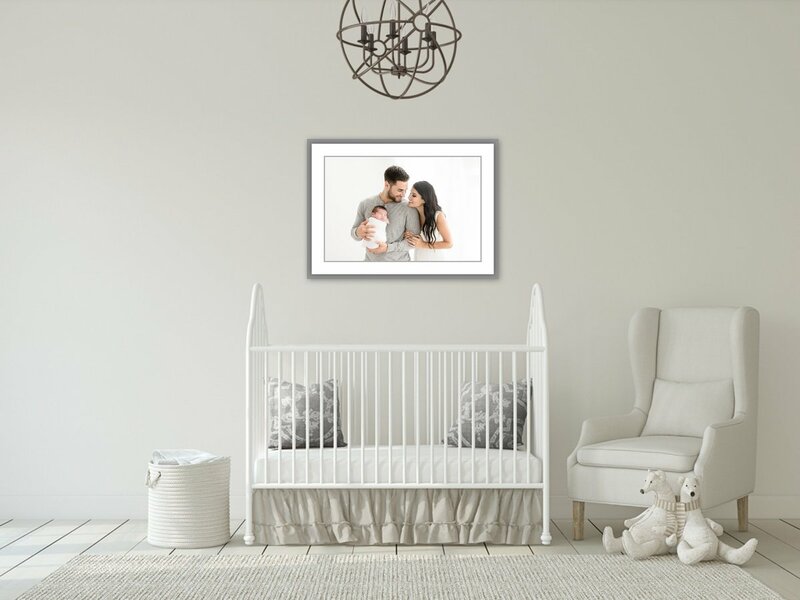 From modern to traditional or rustic and distressed each piece we design with your family and home in mind complete with installation. 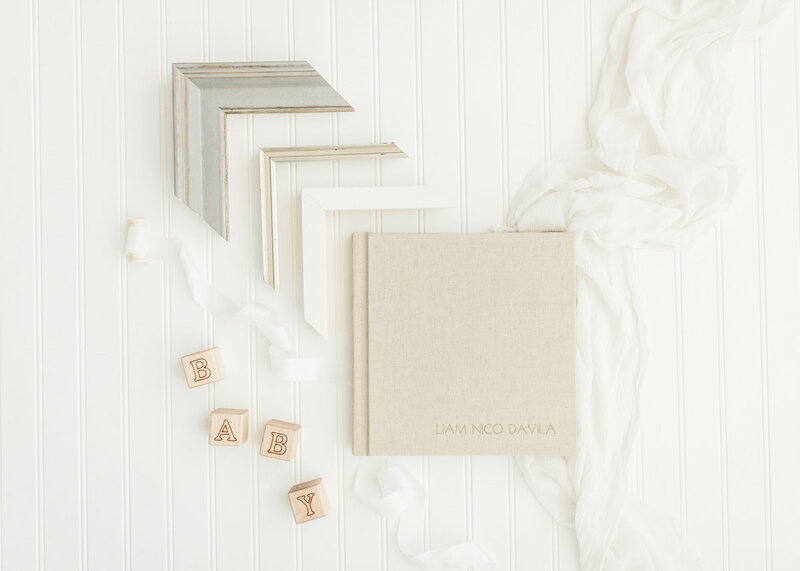 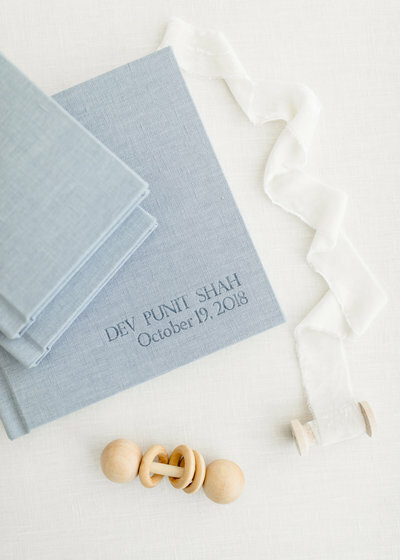 Even the small details can be time consuming and overwhelming, especially with a new baby. 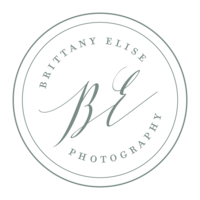 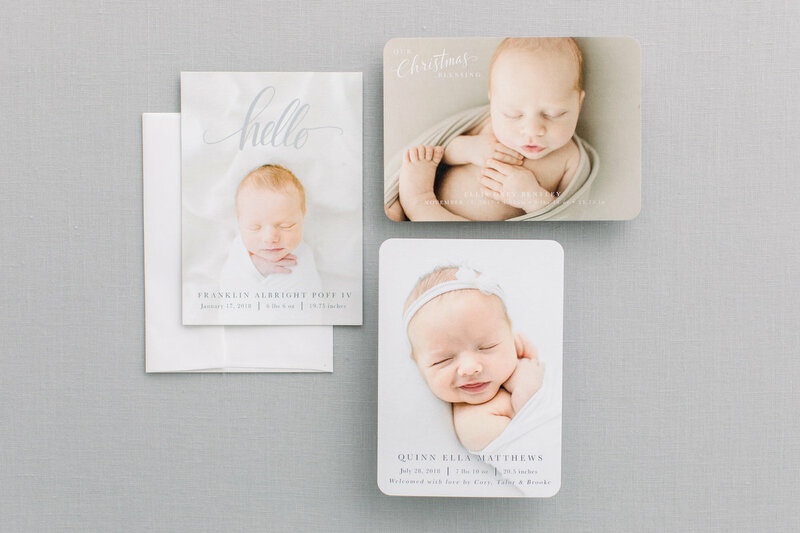 Our custom birth announcements and holiday cards are completely custom designed to your favorite images. 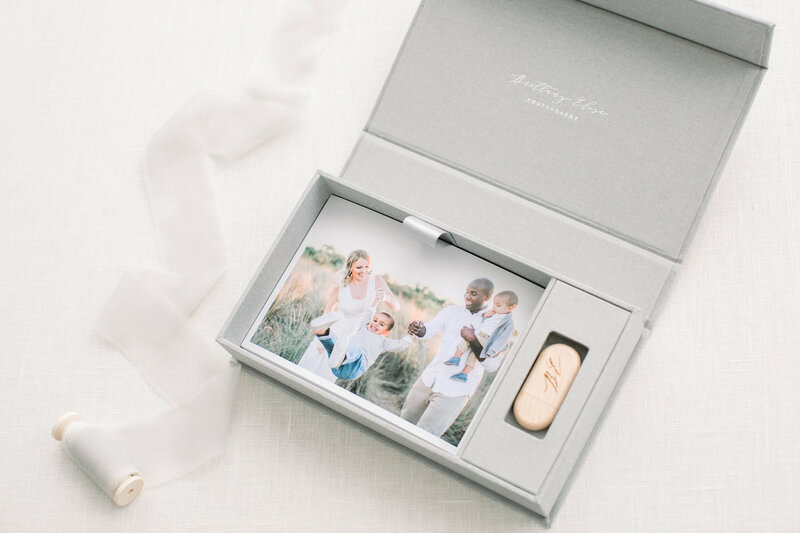 And our curated gift collection will surely be the gift that anyone will love.